There’s no party like a PhD-party! Looking for a venue for your PhD party? Rico Latino is the place to be. Our organization is well prepared to host your party, so you can relax and focus on enjoying your achievement with your guests! So, you are nearly graduated and are ready to plan your celebration? Great! Why not let us help you with that? Our guarantee: excellent service at reasonable prices! We have several areas to accommodate parties. For smaller groups we advice using our Loungebar area. During bigger events we use the Mirror room and the Loungebar. We don’t charge rent, you only pay for the food and drinks! We offer several beverage packages at a great value. Choose (1) an all-inclusive package at a fixed price per person, (2) sales volume arrangement or (3) drink vouchers. Every party is unique, we adapt to specific wishes. We can provide catering if desired. Depending on your wish, we offer extensive buffets or small snacks and finger food. Bringing your own food or hiring an external caterer is possible under certain conditions. Our location is equiped with a professional audio and light system. The available system provides enough power and versatility for most common PHD parties. Usually an experienced allround-dj is booked for the event to provide your music of choice. You are also free to use our (Latin) playlist and/or connect your own playlist to our system. Different light settings available, adjustable from relax/lounge up to crazy disco. There is also a beamer on location, free of charge, at your disposal. I would like to say big thanks for the party on Friday! It was great, super nice people at the bar, they let us stayed longer, they were very kind and helpful! I will recommend your place to everyone!! Wat ik vooral erg fijn vond was dat jullie zo goed overleggen en de wensen van de gasten aanvoelen. Ik heb totaal geen omkijken gehad naar de organisatie tijdens het feest. Verder de vriendelijke bediening is erg goed bevallen. Today I closed up my office and really left ITC, - not easy after 21 years. I want to thank you and your super barmaid again for the really great time and place and spirit you gave for my farewell party last Saturday, it was super chevere. 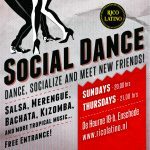 Rico Latino is not only an excellent dance school, but also one of the most enjoyable bars with Latin American atmosphere in Enschede! Highly recommended! 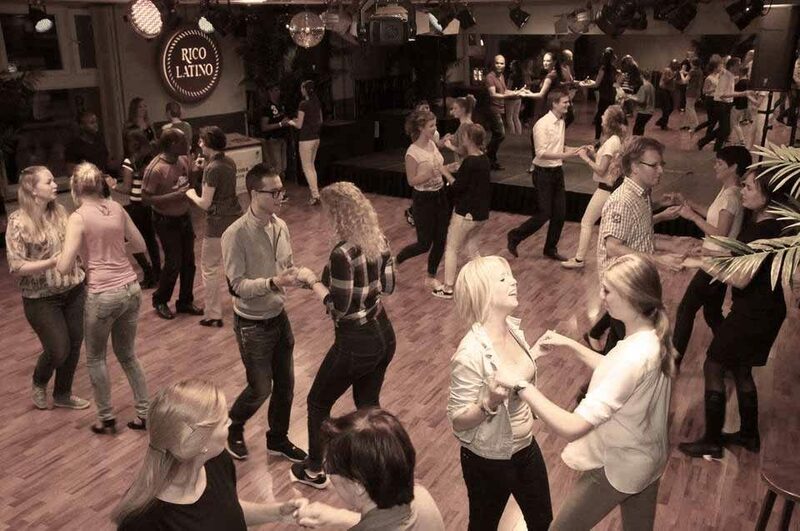 Rico Latino is jouw partner voor open en besloten feesten, boeiende danscursussen en de leukste workshops. Rico Latino is your partner for private and public parties, fascinating dance courses and the most entertaining workshops.